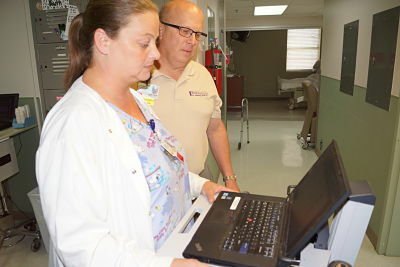 Health Care Informatics and Nursing Informatics are disciplines at the intersection of information science, computer science, and health care. Health Informaticists use the Electronic Health Record (EHR), for the acquisition, retrieval, and storage of information in health care. Health Care Informatics combines the use of computers and clinical guidelines with the use of patient portals, health information exchanges and EHR technology to organize and store patient health information confidentially. D.W. McMillan has partnered with NextGen Information Systems and utilizes NextGen Hospital Solutions for the hospital EHR. The Flomaton Medical Center also uses NextGen Ambulatory EHR in the rural health clinic health clinic setting.